The leading Australian consumer advocacy group, Choice, has found further examples of food companies continuing to downsize packaging without lowering prices. 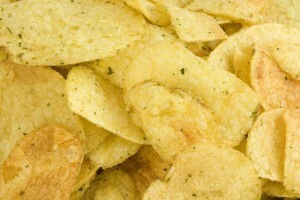 In a recent blog post, Choice said that Smith’s crinkle cut potato chips have gone from 175 grams down to 170 grams. This equals approximately three chips less per packet. Smith’s owner,US company PepsiCo, has reportedly said it decided to make the packets smaller in order to deal with increasing manufacturing costs. Choice said that no warning of the change was given and the new packets have been on shelves since earlier in 2015. The company’s Red Rock Deli chips also went from 185 grams to 165 grams in 2014 without a price drop. Cadbury’s decision earlier in 2015 to reduce the size of Freddo Frogs from 15 grams to 12 grams without changing prices. Cadbury changing the size of its family chocolate block in February 2015 from 220 gram to 200 grams. It had previously changed it from 250 grams to 200 grams in 2009 and then put it back to 220 grams in 2013. Choice pointed to recent changes made by food companies to the size of breakfast cereal inner packaging packaging but not making any change to the outer box packaging, and reducing chocolate bars sizes but not the actual number of pieces included in a bar. Interestingly, one of the supermarket groups is running a TV promotion for its Red Spot specials featuring the same Red Rock Deli chip products that Choice had identified, while Cadbury is running a big winter campaign for its chocolate bars as a major advertiser on the very popular ‘The Voice’ music talent discovery TV show. Is America worse than Australia when it comes to package downsizing? In 2011 the New York Times reported that American companies struggling with the aftermath of the 2008 financial crisis had been turning to package reduction. A few years later In 2014 the trend was continuing with The Boston Globe finding examples of ‘1-pound coffee’ (approximately 450 grams) actually containing only 11 ounces of coffee (or approximately 311 grams) and a brand of hot dogs which was advertising to be 1 pound only contained 14 ounces (approximately 396 grams) of hot dogs.